Desktop computers have been in tower cases for a long time; in some cases since the eighties, per When did the tower form factor appear and when did it become popular? The form of tower cases has been pretty consistent; setting aside huge machines like the Xerox Alto and SGI Onyx, the standard form is just wide enough to accommodate the width of a disk drive (5.25" floppy, hard disk, CD or DVD), then high enough to accommodate several drives stacked one atop another, and deep enough to put the mainboard behind the drives. My intuition for what it's worth is that a more obvious design would be a little wider, so as to have room to put the mainboard beside the drives, and not need as much depth. Okay, obviousness and aesthetics are subjective, so I will say no more about that aspect of it. But have any computers used that variant design, with the tower case somewhat wider than the disk drives and the mainboard beside the drives? And if not, is there an objective, practical reason why not? Early PC towers often used such a design, if only because they were basically desktop PCs on their side. Some systems even had a rotatable drive bay (a bay containing two full-height 5.25” emplacements is as high as it is wide). There were some systems specifically designed along the lines you mention; Apple’s Quadra 950 and PowerMac 8100 spring to mind, and in less common systems, Digital’s Personal Workstations are nice specimens. In the PC space though, the design wasn’t all that popular, at least when using standard components, because of motherboard constraints, and of target markets. Regarding the former, Baby AT systems did commonly put the hard drives and 3.5” floppy drive alongside the motherboard; but the number and size of expansion cards limited the ability to reduce the case’s size, and giving users access to memory slots etc. meant either having to develop specific “easy access” drive mounts, or leaving the case large enough to allow hands to fit without getting too badly torn to shreds. See this photo for a typical example of a baby AT clone. (Baby AT motherboards were really long too, so reducing the depth wasn’t possible anyway.) 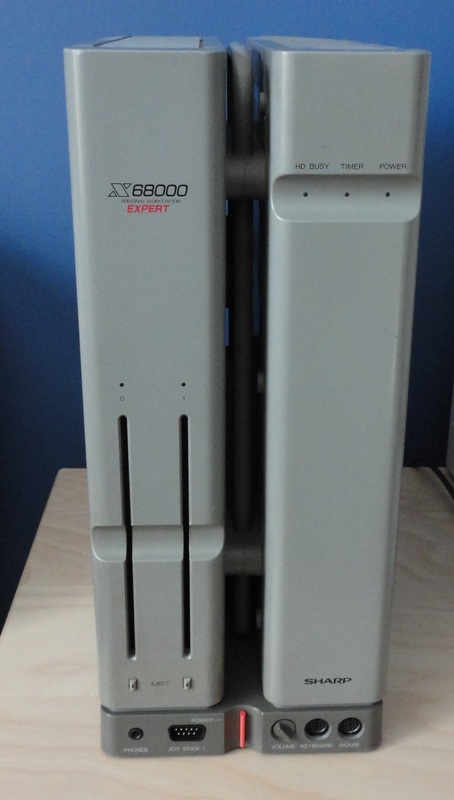 Regarding the latter, in the nineties most people wanted desktop systems, and towers were sold based on their enhanced expansion possibilities; reducing their size wasn’t part of the specification, on the contrary — the bigger the tower, the more serious the system, in many people’s minds (and on magazine covers). The decline in popularity of 5.25” devices means that they are no longer a design constraint; but general purpose side-by-side designs still tend to follow the “humongous tower” approach. See Lian Li’s PC-011 for one example of a system with no 5.25” bays, or their PC-D600 and PC-08 for two-compartment designs with 5.25” bays (this type of case has been around for decades). limited expansion capabilities (which ended up being rather ironic for a tower). Not the answer you're looking for? Browse other questions tagged history hardware case or ask your own question. When did the tower form factor appear and when did it become popular? What size screws were used in the Amiga desktop cases? Is it possible to chemically remove spray paint from 1990's PC cases (specifically the plastic front covers)?